thumbsup: Can you tell us the brief history of Blisby? thumbsup: We have seen a few marketplaces for art lovers. What set Blisby apart from the others? How do you keep the sellers with Blisby? thumbsup: How about your Business Model? 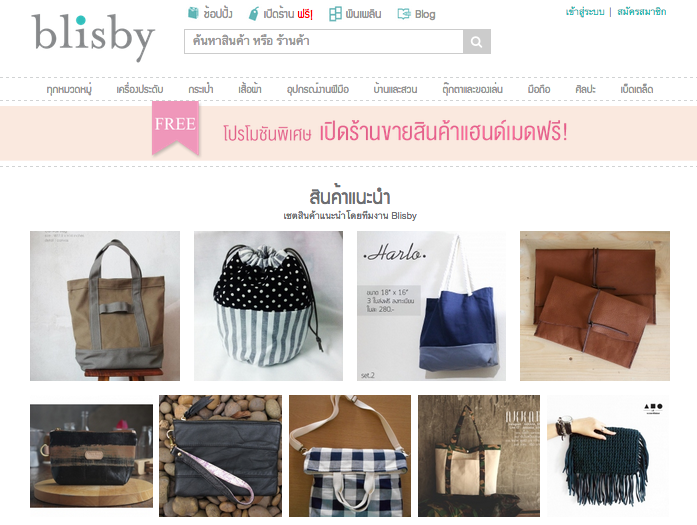 thumbsup: The products on Blisby.com are interesting and must draw attention from foreigners. How do you prepare for the upcoming AEC in 2015? thumbsup: Back to Khun Phuvadol, as you had experiences working with leading tech companies abroad, how did you make decision on starting Blisby? thumbsup: Do you want to leave any messages for the others in startup Thailand?